As most of the operating costs of the Santa Shoebox Project are covered by the Project’s main sponsor PEP, all private donations contribute towards the SSB Legacy. The funds are used for upliftment projects in the communities where SSB approved facilities can be found. The first roll-out was in 2014 when the need for basic First Aid training was identified. SSB collaborated with the South African Red Cross Society – benefiting not only the children, but the wider community. 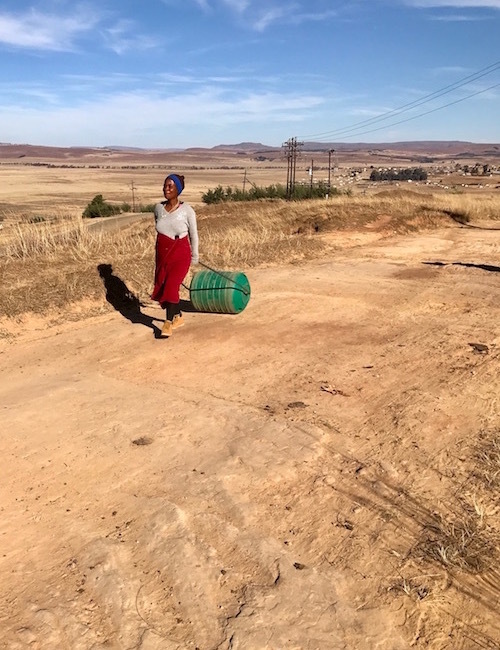 In 2015 and 2016 we focussed on water, distributing Hippo Rollers to families who don’t have the luxury of running water in their own homes. As an integral component of our March To A Million, we will be accumulating the Legacy funds until the millionth Shoebox is achieved, after which they’ll be used to make a profound difference to an impoverished community.